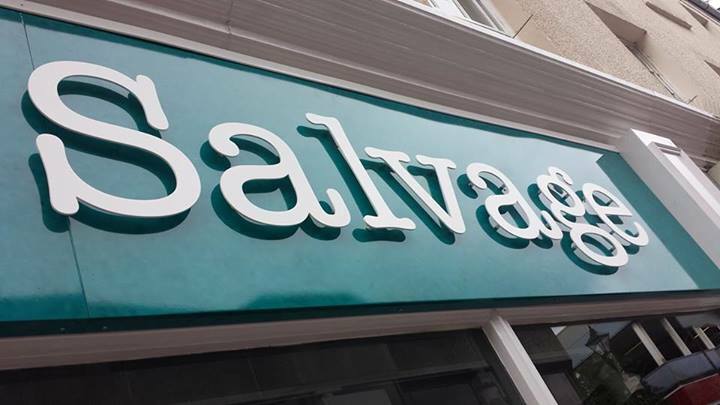 The launch of Salvage, an innovative charitable retail trading concept, has been “a roaring success” for Four Peas client, Shaw Trust. The national charity asked the agency to come up with the trading name, visual identity and retail brand, and the response to the first store opening has been “phenomenal”. Clients regularly ask us to name their companies and products. “It feels like a big responsibility to create a brand name – you know how important it is for the client’s success. We have a clear process that we know works, and have built-up a strong track record spanning the tech, hospitality and charity sectors,” says agency head, Bill Vallis. Shaw Trust’s Salvage trading concept is completely separate to its network of 50 regular charity shops. 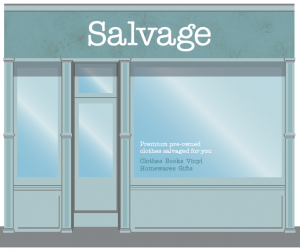 It offers customers cash for their premium clothes donations, reselling these along with books, vinyl, homeware and gifts. All profits go towards the charity’s mission of helping people facing disadvantage into work. For experienced assistance with retail brand name and identity creation, contact The Four Peas.